General Bipin Rawat stressed women need to be given combat roles in the army. 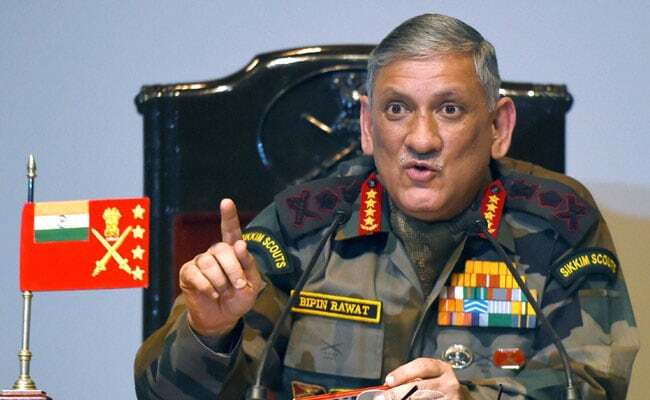 Dehradun: Youngsters in Jammu and Kashmir are being misinformed and misguided by forces inimical to peace, Army Chief General Bipin Rawat today said. Security forces have to devise ways to counter this, he said while addressing gentlemen cadets at the prestigious Indian Military Academy (IMA) here. General Rawat also said terrorism was the biggest challenge in the country as he urged the cadets to gear up to grapple with the scourge. The Army chief presided over a colourful passing out parade by 490 gentlemen cadets on the completion of their course. He said it was time they put the lessons of valour and military skills learnt at the academy to the service of the nation. The Army chief, himself an alumnus of the IMA, said the academy imparts the best training to its cadets which matches up to international standards. Earlier, the immaculately turned-out cadets put up a well synchronised parade before General Rawat at the academy's famous tarmac drill square with the historic Chetwode Building in the background. Later, speaking to reporters, General Rawat said women need to be given combat roles in the army as terrorists often used women as shields.